Frank Fitzpatrick’s column in the Philadelphia Inquirer offers a look back at Lew Tendler’s Restaurant, where sports figures, newspapermen and mobsters used to hang out together. 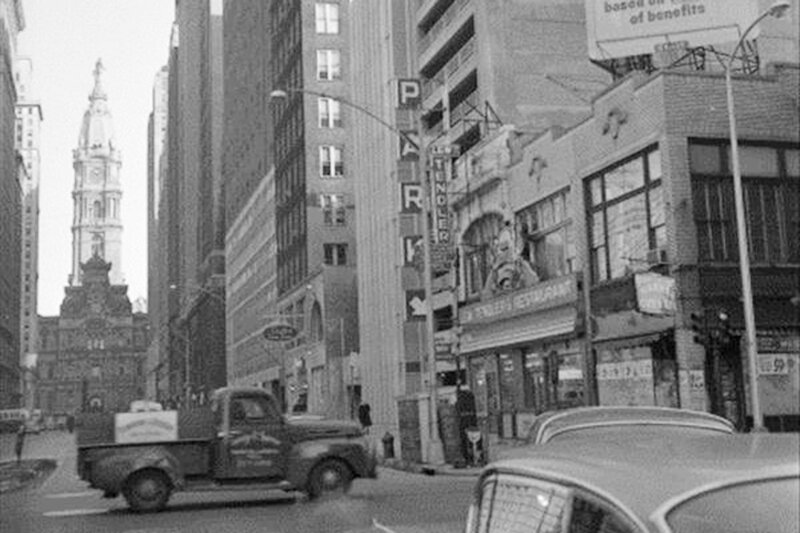 When the sirloins were thick and rare, the whiskey cheap and plentiful, the wise guys brash and colorful, Lew Tendler's Restaurant was, as the Pabst Blue Ribbon sign over its bar proclaimed, "The Quaker City's Sporting Hub." "Sports bar" is now a tired marketing concept, one connoting a place where young males gather to ogle big-screen TVs, memorabilia, and waitresses dressed as scantily as the house salad. 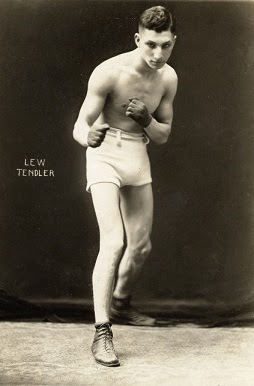 Tendler's was so much more. "It was the kind of place you can't find in Philadelphia any more," Gabe Oppenheim wrote in a 2015 Pennsylvania Gazette piece, "a pub where mobsters, athletes and writers gathered." Between its 1933 opening - 71 days before Prohibition's repeal - and its closing 37 years later, the ornate establishment at Broad and Locust was home base for Philly's leading sports figures as well as the Runyonesque barflies who buzzed around them. In fact, Damon Runyon himself, the newspaperman who immortalized New York's touts and hustlers, drank at Tendler's whenever he was in town. Most of Philadelphia's sportswriters, including Red Smith when he worked at the Record, haunted the place, as did visiting scribes such as Jimmy Cannon and Dan Parker. On any given day, you might find journalists; baseball and basketball players; boxers; jockeys; NFL owners; mobsters; and an assortment of quirky gamblers with names like Mugsy, Cappy, Frisco Legs, Oysters, Blinky, and Sassy Doc. … But the real action was boxing. In the late 1940s, two large TVs were installed and the bar was packed on fight nights. When, in September 1952, Rocky Marciano challenged heavyweight champ Joe Wolcott at Municipal Stadium, hundreds of sportswriters and bookies made Tendler's their pre-fight headquarters. And, according to a Marciano biography, one of the Brockton Bomber's uncles, Pete Piccento, was able to place $40,000 in bets that week at Tendler's. Organized crime ran boxing then. According to Oppenheim, mobster Blinky Palermo once asked Sugar Ray Robinson - at Tendler's - to throw a fight. Though Robinson had no choice but to agree, he instead knocked out his opponent. "It was an accident," Robinson later told Palermo at the bar. "I just happened to catch him with a hook."